Product prices and availability are accurate as of 2019-04-18 11:56:06 UTC and are subject to change. Any price and availability information displayed on http://www.amazon.com/ at the time of purchase will apply to the purchase of this product. 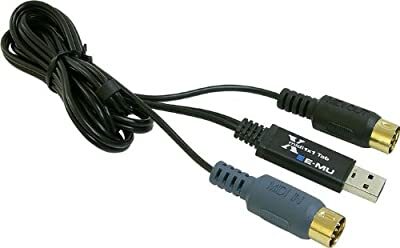 E-MU's Xmidi 1x1 is a plug-and-play USB MIDI Interface that adds an ultra-fast MIDI input and output (16 MIDI channels in/out) to your computer. The Xmidi 1x1 is bus-powered for total portability and offers status indicators for input signal, output signal and power.